The transit highway that passes across the border from the Chinese city of Zhuhai to Macau is heavy with both human and car traffic. To pass through passport control and cross the border takes an hour’s walk, and so finally I got here.For hundreds of years parts of China were constantly under the imperial rule of other countries, nations like France, Spain, Britain, Portugal. Like the British during the Opium War, the Portuguese also came here to enslave the Chinese. Kidnapping Chinese children and selling them to Malaysia, where they were then roasted and eaten. The Portuguese also provoked war by building forts on Chinese land without permission. Eventually China gave Portugal the right to settle in Macau, in exchange for them clearing the territory from pirates, which was done under strict Chinese control. From that time Macau was a European colony, one of the first and last in Asia. Therefore it has a significant colonial history. Just like Gulangyu, a walk through the old town is reminiscent of a walk through the centre of somewhere like Madrid, Milan or Porto. If you removed the Chinese street signs, you could think you were somewhere else. 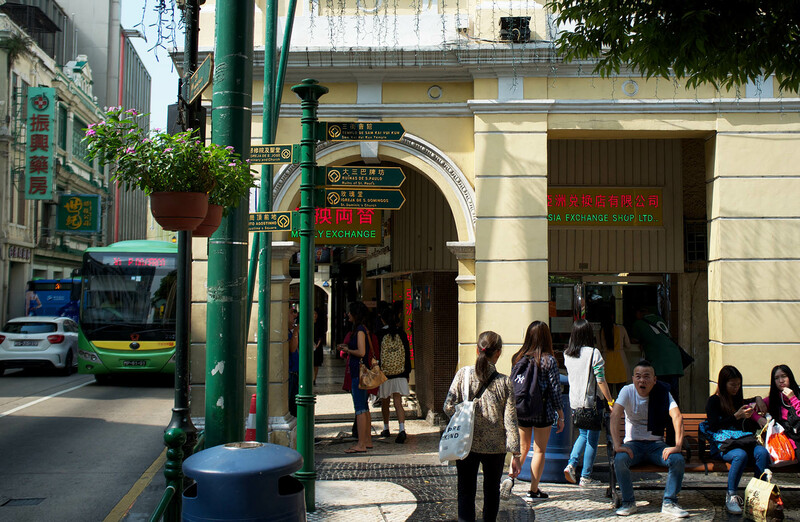 Throughout its long colonial history with Portugal, Macau had two official languages, though Portuguese is hardly spoken anywhere now. 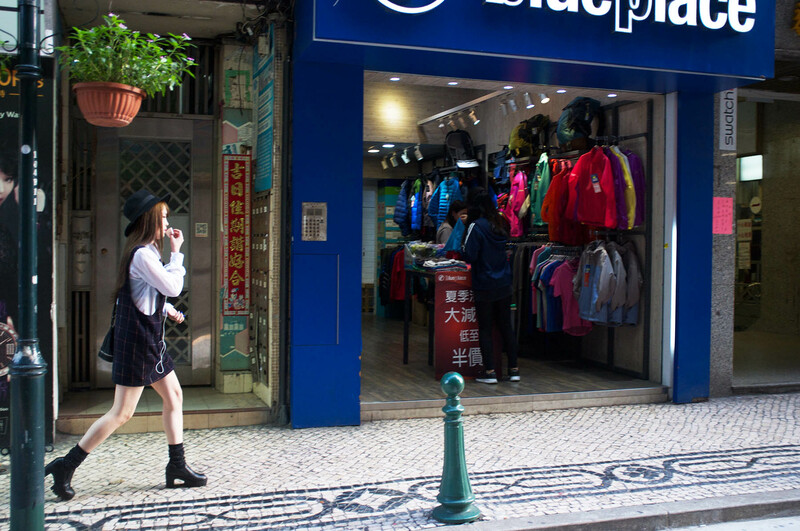 In Macau everything from street signs to public transport to menus in restaurants and navigation is presented in three languages: Chinese, Portuguese and English. Portugal’s imperial reign over Macao eventually came to an end. Following its neighbour Hong Kong’s transferal of sovereignty from Britain back to China, it was clear that it was also time to give Macao back to China. The Portuguese troops left quickly enough, leaving heavy weaponry behind in the barracks, which now are exhibited in museums. 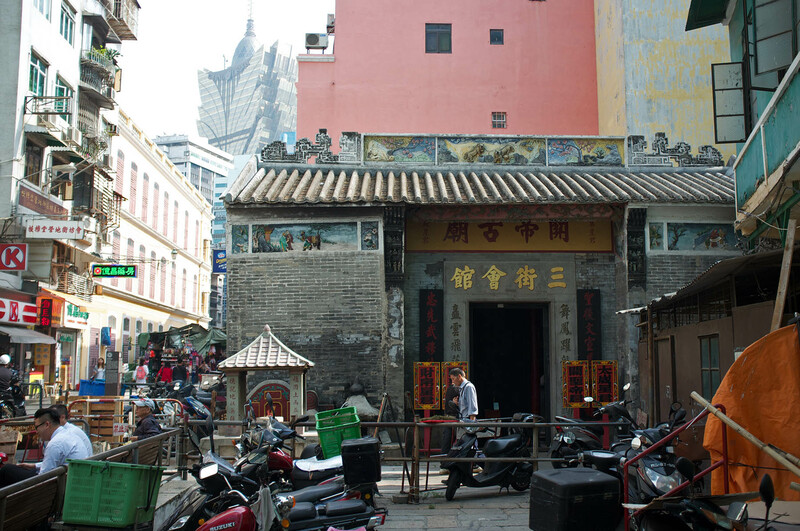 Old Chinese temple surrounded by modern and European architecture. 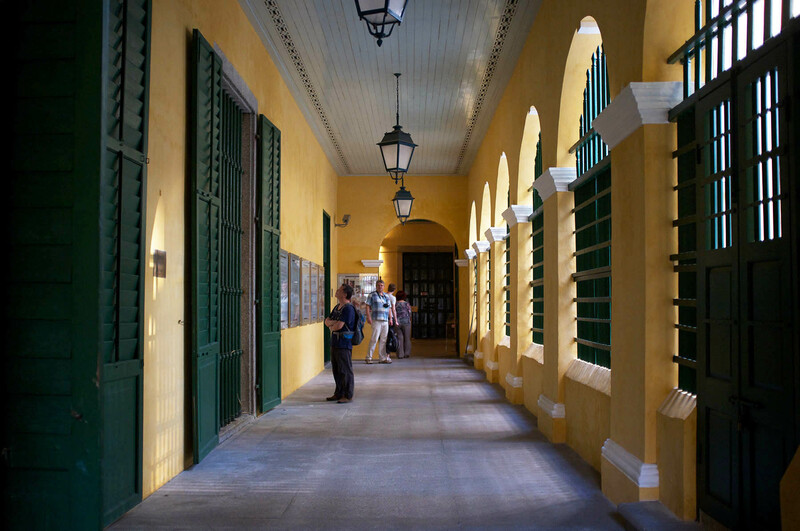 Military history is a big part of Macau’s heritage, thanks to which it became a World Heritage Site. This means that the history of Macao’s military strength will be preserved for future generations, and will hopefully remind people of the colonial time, as a long and a bitter struggle for influence. For a small territory the amount of the old weapons and forts that have survived is large, and now serves as a reminder of Macau’s military past. Without military success some say that Macau would probably have remained a small fishing village on the coast of China. Corridor of St. Dominic’s Church. Today the city has special administrative status. China administers Macao under the formula of “one country, two systems”, i.e Macau is officially part of China, but retains its own system of government. Like its neighbour Hong Kong, residents of Macau don’t really believe that they have a full democracy and think that control from Beijing is still very noticeable. Despite the locals’ claims, Macao’s sovereignty does not make it a separate country. Chinese people live in Macau, they also speak Chinese there. 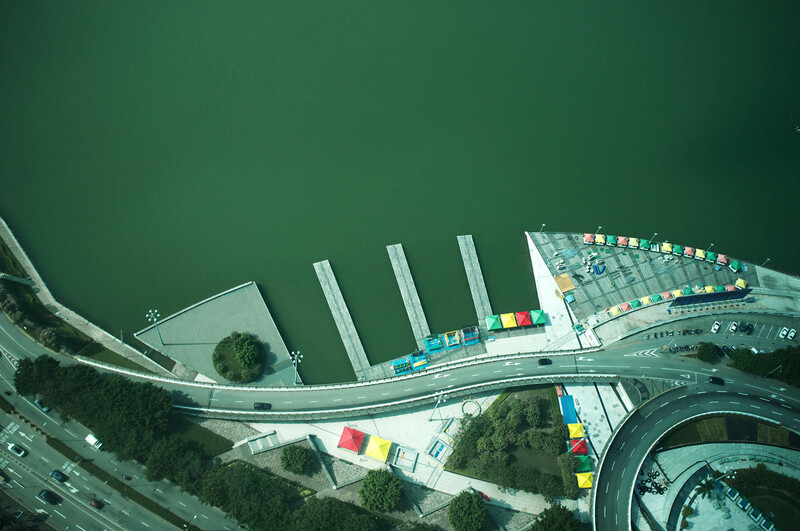 Besides the city itself, Macau also includes the island-dams, which are connected to Macau by bridges. Currently, these islands are built up with a Cotai Strip, which is an Asian gambling resort like that found in America’s Las Vegas. Although the Cotai Strip is also owned by the Las Vegas gambling corporation. 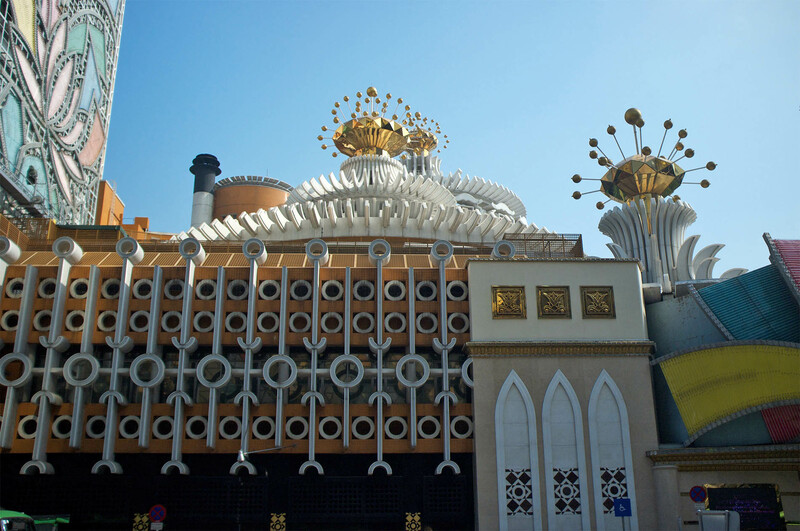 Macau generates most of its profit from gambling and is several times ahead of the Las Vegas Strip in terms of revenue, which makes it the biggest gambling destination in the world. 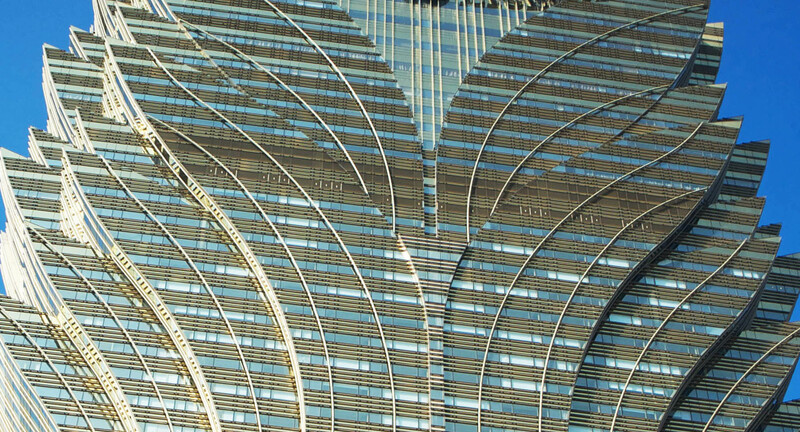 Bottom part of Grand Lisboa Casino building. Top part of Grand Lisboa Casino building. 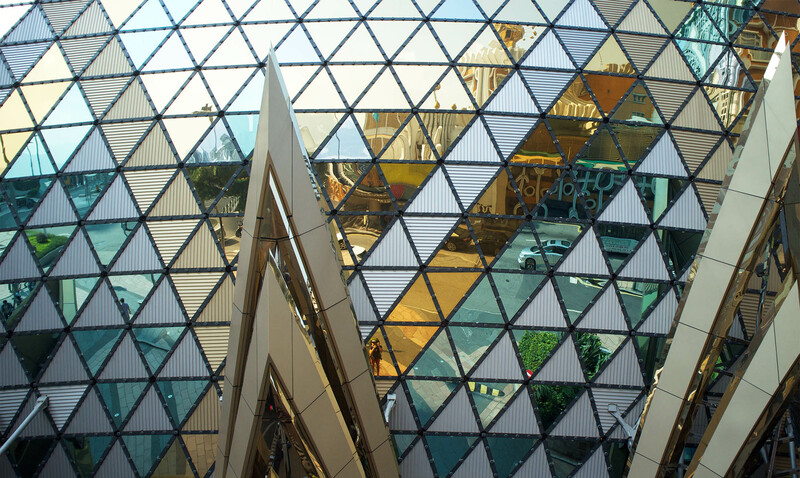 With the opening of licensed gaming centres, Macao’s economy has boomed rapidly in recent years. 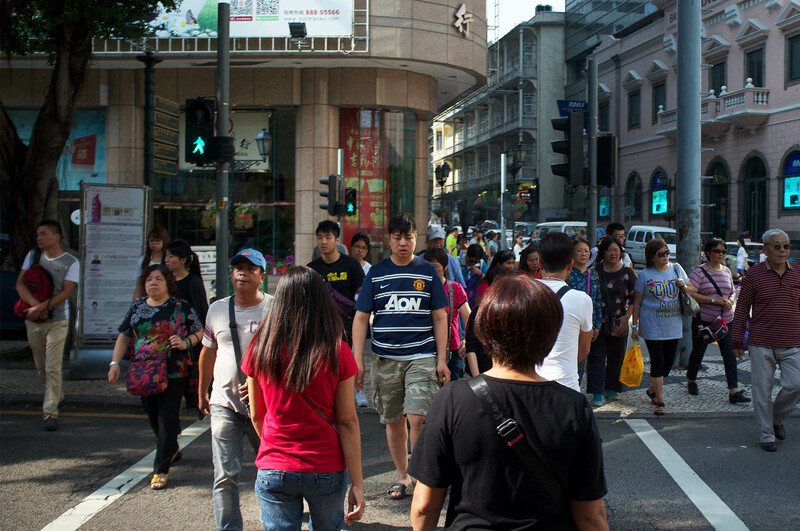 Thousands of tourists visit Macau every day, mostly from mainland China, where gambling is still illegal. On arriving in Macau, the airport was full of private jets queuing up. One Chinese man from Macau told me about the marketing and advertising of gambling here and how generously players are rewarded for their dedication to playing. Games here have become something like making a purchase from a store, where for every purchase made you receive loyalty points, which you can then use to buy things. 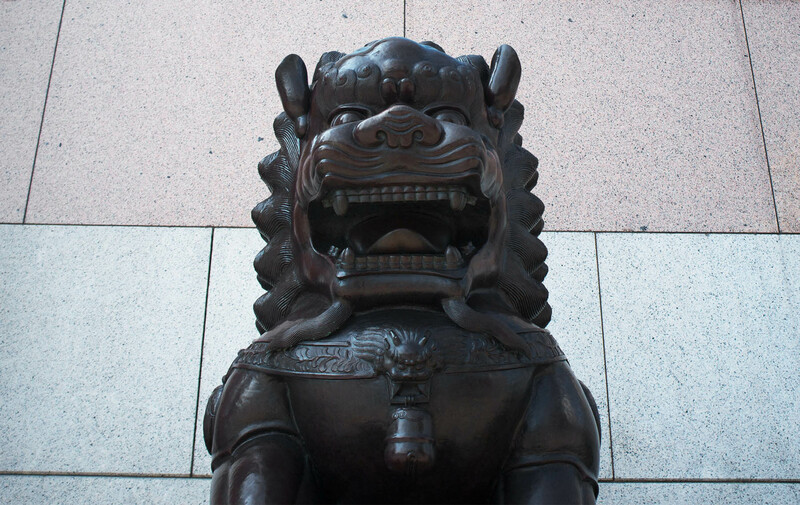 According to ancient Chinese beliefs, the lion is a mythical defender of the law and guardian of sacred buildings. He is a symbol of success and the strength of royal power. Here, like in Beijing and everywhere else in China, these lions are an important feature. Foo dog. A lion in front of the casino. 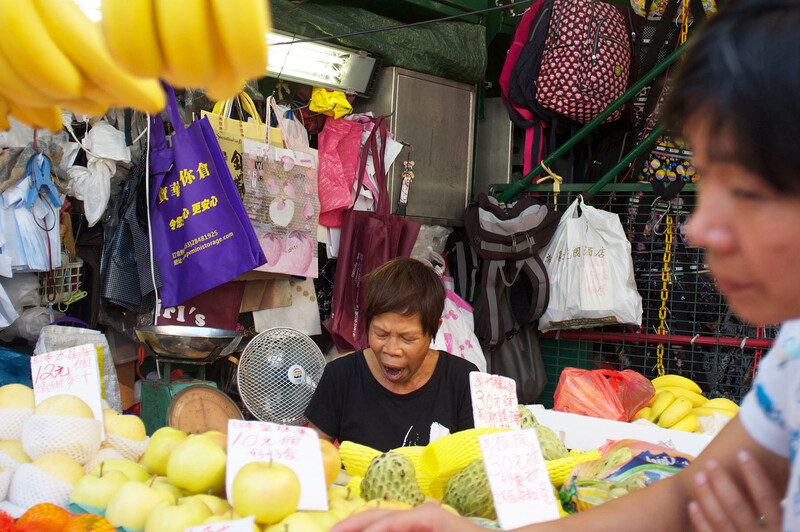 The standard of living in Macau has increased significantly, and in many cases is now equivalent to that of some European countries. The tourist industry has diversified, and as well as the casino business, Macau also promotes its historical sites, culture and food. Although Macau is still most famous for its gambling, it’s also rich in tourist attractions, which exude a European atmosphere. 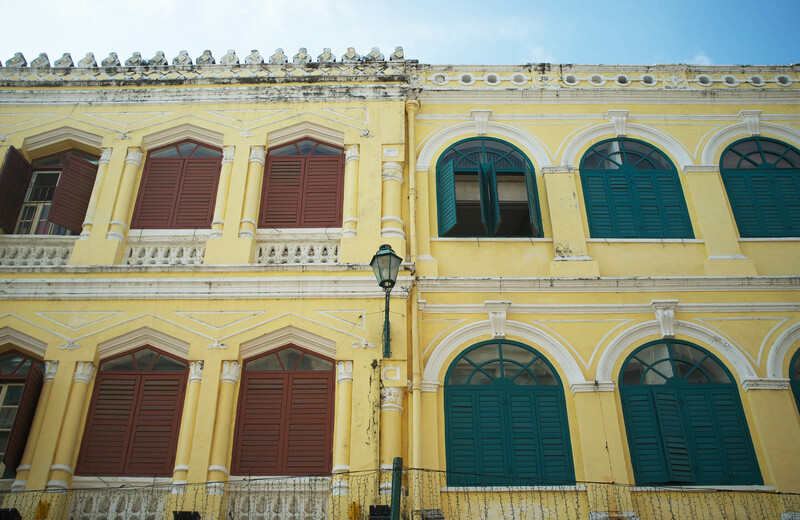 The historic centre of Macau is a UNESCO World Heritage Site, which includes a group of buildings and gardens. This is an example of how to visit a World Heritage site without paying for it. Except for the risk of running in to the shops, where you will spend the money on shopping instead, which has helped to make this particular site a shopping centre in the city. Tourists from the Far East come here to experience a taste of European life. 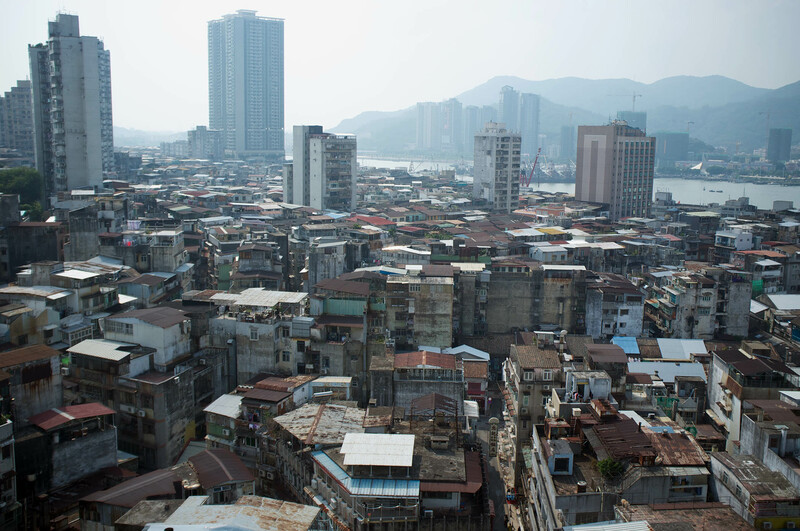 Macau has become a paradise for the rich, where they blow loads of money, and hell for the poor, where in an attempt to strike it lucky they spend money they do not have. 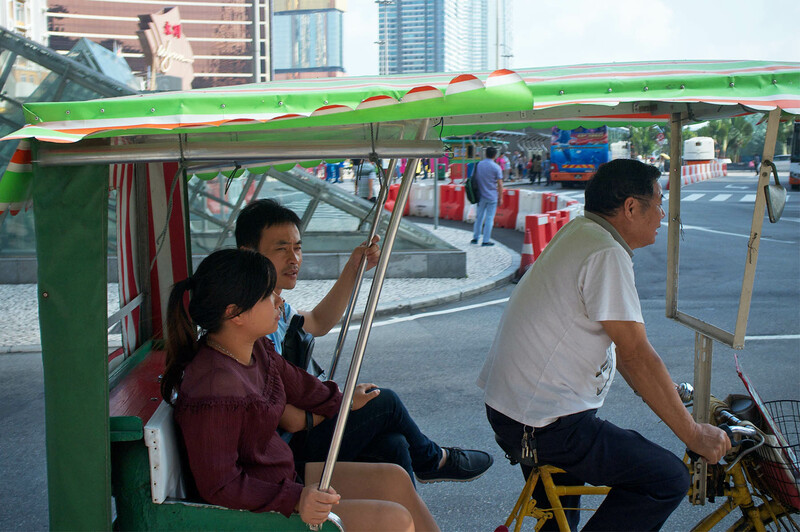 Tricycle rickshaw driver giving tourists a ride. If you are told that Macau is worth visiting for the European churches, temples and the diverse cultures and traditions, which are perfectly in tune with Chinese characteristics – that would be a lie. The only blending of characteristics here is that the local Chinese live in these European homes. Tourists come here to spend their money on shopping, and the Chinese, spend their money in the casino. There is nothing more to do here. Compared with the rest of China, the people here are in no hurry and quietly go about their business. It was here, for the first time in China, that I noticed the entrances to the roofs of residential houses and hotels are often left open. So I lost no time and took the first opportunity to climb to the top of one. I had no regrets since the view of the city was excellent. In the old part of Macau the narrow alleys that run between the buildings are like a labyrinth. View from the roof of the Hotel Central. It was built in 1928 on Avenida de Almeida Ribeiro just past the historic Senado Square. This was an important hotel and gathering place for foreign expats, visitors and diplomats during the early and mid 20th century. 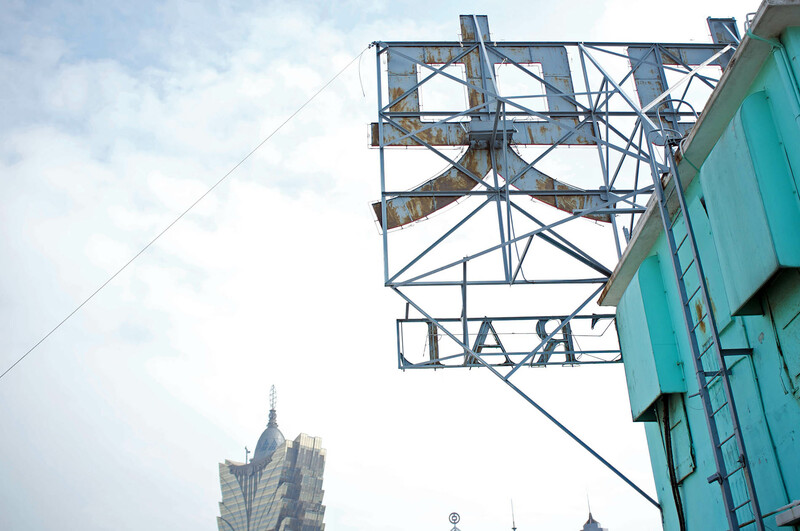 Over time the old hotel central became greatly overshadowed by more interesting attractions that make up the historic city centre of Macau until it finally faded away.